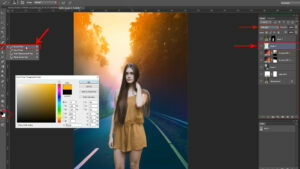 Today we will show how we can create a dramatic background through Photoshop. Also we will show how we can Brush Tool in long hair. We will create Dramatic Background by using Adjustment Layer, Color and other techniques. 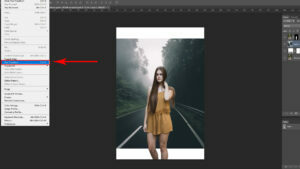 So let’s start, First we will open two images in Photoshop. 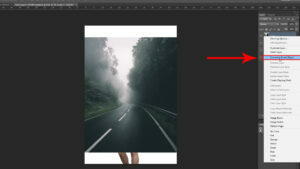 One is main image and the other is background image.Now we will cut out main image by using Pen Tool (P) of Photoshop. 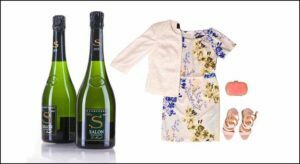 We will take a Duplicate Layer by pressing Ctrl + J and by holding Ctrl click on path to select an image. After selecting the image we have to input Select> Modify> Feather> with 0.5 again from the menu bar click on Select> Refine Edge and press Ctrl + Alt + R then get back to the refine edge. We will refine the image. To refine we will use Brush Tool of Refine Edge and refine the hairs only. 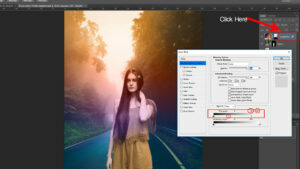 We will select Layer Mask from output option. Then Click on OK button. Now what will be happen is, the Layer will be Mask.After doing Layer Mask we will see that some parts of hair will be erased and some dust particles will be visible in the background. To reduce the dust particles we have to turn the Click Layer into Negative Mask by clicking Alt + Layer Mask. After doing Negative Mask press Ctrl + L to bring Level and reduce input from left side bar. 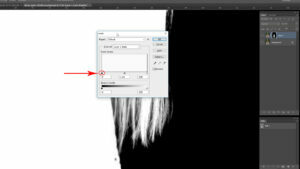 Now we will select Mask by pressing Ctrl + Click and we will bring back the erased hair or part of the image by painting with a Brush Tool. After that if we click on Alt + Layer Mask Negative Mask will turn into Positive Mask. The purpose of refining is to make the background Transparent and keep the original image right. 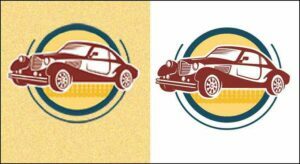 If we make the lower background invisible then the image background will be transparent and any solid color can be used or any other color can be used. 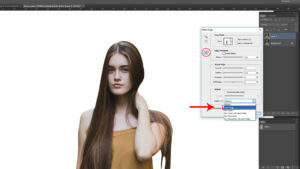 Refine Edge plays an important role to make the background transparent. We are showing it now with Solid White background. Even though using solid background is not necessary. It is because we will use another image as a background. We opened two images in Photoshop. One is Background image another is Main image. 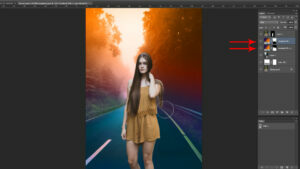 Now we will copy Background Image and bring it to the Main image and from top of the image we will click on right button then click on Convert to Smart Object. 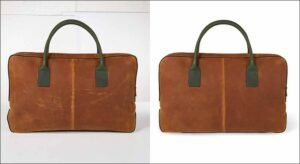 If an image is converted into Smart Object then the image will not be broken when adjusting the resolution. 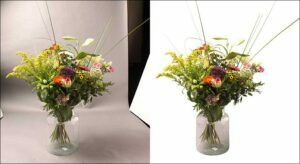 After that we will keep the Smart Objected image below the masked layer and from menu bar we will click on Edit > Free Transform (Ctrl + T) to transform the image then press and hold Alt + Shift to adjust the image size as per requirement. image size as per requirement. 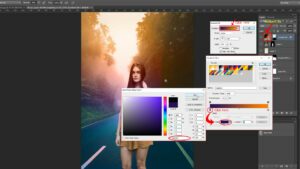 By keeping the upper layer selected we will select Gradient Color from Adjustment layer. 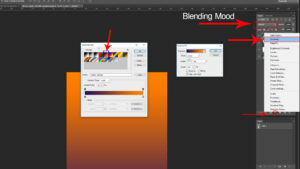 After selecting Gradient color we will change blending mood and select color. 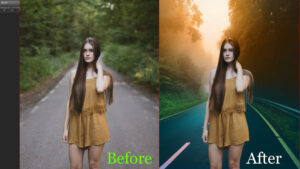 When we change the blending mood we will we different effects. Now we will drag the Gradient Layer and place it below the Layer Mask and we will take another copy of that layer. We will use this layer of Blending mood as Saturation. Now we will press Ctrl + L to invert both Layers one by one. Now we will paint the Layers by Brush Tool of Tool Box. The Layer in which Color Blending mood has been used us will paint upper part of that layer and the Layer in which Saturation Blending mood has been used us will paint lower part of that Layer. We will take an empty layer below the top most Masked Layer. Select Brush tool from Tool Box, select any Lighting Color by double clicking on Foreground Color which is below the Tool Box and we will paint the empty Layer. 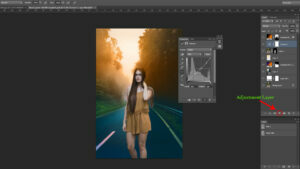 We will select Soft Light mood from Blending mood option of that layer. After selecting Soft Light mood we will see a stunning Effect.By dragging the below Gradient Fill 1 layer we will place it on the top most. 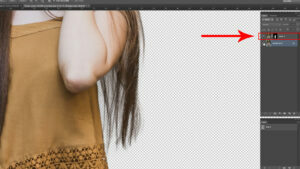 For that a bit of light of Gradient Fill 1 Effect will be visible in the image skin. By using Brush Tool or Erase Tool we have to erase this light slowly or else the skin color will be changed. Now by keeping the upper layer selected if we double click on Layer than a Dialogue box will appear in Layer Style. We can see a Bar called this Layer in the below part of the Dialogue Box. The Icon that is in the right side of this bar we will bring that Icon in the right side by pressing and dragging the left button of the mouse. Now if we press and hold Alt and click on Icon then press left button and drag to the right side then the icon will be divided into two parts. By doing this the Effect that we gave earlier will be much smoother. Again by clicking on color of Gradient Fill 1 Layer we will make the Gradient Color Black. Then the effect will be beautiful and natural. If we see the video clip we will understand better of this section. 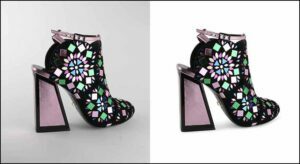 By keeping the Layer Masked image selected we will select Curve Layer from Adjustment layer and by adjusting color from Curve layer we will make the color more beautiful. 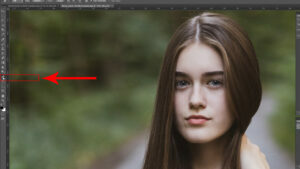 Basically by this way we can convert an image’s background into Dramatic background.